How old is an old cat? It’s a relative measure, but in general, most pet cats are considered seniors when they reach seven to nine years old. Since a well-cared-for house cat can live up to 20 years or more, a cat can spend more than half its lifetime in its golden years. But, as we all know, old age doesn’t come alone. The issues that affect elderly people, such as memory loss, joint stiffness, or declining senses, affect senior cats, too. Here are the most common behavior changes in older pet cats. Activity changes.We know human activity levels change as a natural consequence of aging. Our metabolic rate slows down, our fitness gets poorer, and we tire out sooner and need to rest. These changes also apply to cats. Certain medical problems that are associated with old age cause pain, discomfort, or sensory loss and can reduce your cat’s activity. An older cat may run less, have less interest in toys, and strain to climb a cat tree or get over a baby gate. More seriously, older cats may skip a visit to a water bowl or litter box due to discomfort and the effort it takes to get there. Think of ways to reduce unnecessary obstacles and make your cat’s daily commuting easier. House soiling. Peeing out of the litter box is a common behavior problem reported by senior cat owners and is likely one of the top issues caused by medical problems, such as urinary infection, incontinence, painful urination, increased urination frequency, or back pain that makes it difficult for cats to maintain an elimination posture in a covered box. A veterinary visit is mandatory for cats who suddenly start to go outside the box. In addition, you can make your cat’s access to a litter box easier. Consider adding more boxes, moving them closer to your cat’s favorite locations, lowering the sides, removing their hoods, and cleaning them more often. Appetite changes. Cats’ energy requirements change as they age due to slower metabolic rates. At around seven to nine years of age, cats start requiring less food as their activity and metabolism slows down. However, during the next few years their energy requirements may climb again as they start to lose muscle mass and must compensate for it by eating more protein. 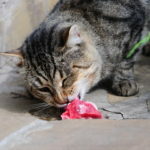 Unfortunately, a cat’s appetite may also go up or down due to several age-related medical conditions. For example, a cat may crave more food due to diabetes or hyperthyroidism, among many other conditions. In contrast, some conditions that cause anxiety, oral pain, or loss of smell can reduce your cat’s appetite. 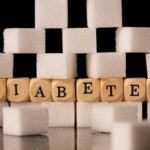 For sudden appetite changes, rule out medical causes first. Changes in sleep. In general, senior cats have shallower sleep. 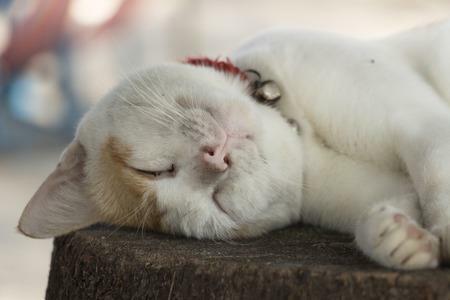 Normally, this is not a problem, and cats can still sleep through the night, but a noisy environment can cause a cat to wake up and trouble owners. Sleep can be further interrupted by certain medical problems, such as increased urination frequency, pain or discomfort, sensory decline, or lower tolerance to stress. Finally, since older cats tend to be less active during the day, they may sleep less at night. If no serious illness is found, your cat’s daily activity can be increased in several ways. You can also make your cat’s daily schedule more predictable, and, whatever you do, do not reward your cat for waking up at night by, for example, giving him tuna just to shut him up. Fear and anxiety. Cats can become more fearful as their sensory abilities decline, particularly vision and hearing, which makes them less able to predict interactions or manage threats and makes them feel less secure in general. 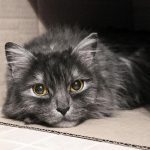 Older cats typically have less ability to tolerate stress, not to mention possible impacts of brain-affecting diseases that can aggravate anxiety. You can make your cat’s environment and daily schedule more predictable to increase his security. Create secure napping spots and make sure your cat is aware of your presence before touching him, or take other precautions to avoid surprising your cat. Increased aggression. Since aggression can have different causes and take a variety of forms, there are numerous ways older cats can become increasingly aggressive. Pain, lower tolerance to stress, or increased fear can all cause a defensive aggression response. Age-related brain and central nervous system illnesses may cause a cat to respond inappropriately to situations or imagine threats that aren’t there. Increased vocalization. 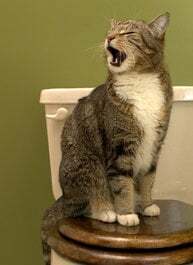 Pain and discomfort are likely the most common reasons why older cats can become vocal. A cat can also become louder if he craves food, which can stem from increased energy requirements or an illness that affects appetite. A cat with impaired hearing can also become excessively loud because he isn’t aware of his loudness—turn down your phone’s volume during a conversation, and you might notice yourself yelling in a similar way. Disorientation. As vision, hearing, and smell decline, a senior cat can have problems moving around obstacles and can become confused or lost in his own house, or have trouble finding a dropped piece of food. Unfortunately, these symptoms can also be due to illnesses that affect the brain or central nervous system. Handling and petting tolerance. Painful conditions, increased sensitivity, and mood changes can cause a family cat to become less tolerant of people touching him. The most common example is when a cat becomes aggressive or tries to avoid someone who is touching his lower back because it hurts. Other causes, such as lower stress tolerance, should not be ruled out, however. This list of possible behavior changes in older cats is by no means final. There may be other changes in your cat’s personality and day-to-day habits due to age, such as repetitive behaviors, excessive grooming, blank staring, and many others. If you notice any odd behavior changes, regardless of your cat’s age, it is always wise to consult a veterinarian. However, it is important to know that many age-related medical problems cannot be resolved completely, and you many need to make adjustments or find workarounds to make your senior cat’s daily life easier. 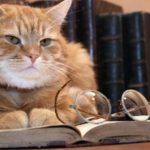 Here is a list of several ways to improve your senior cat’s life. 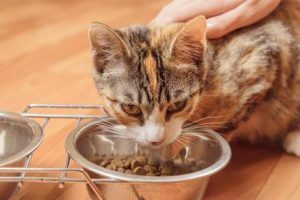 Does your senior cat need a special diet?